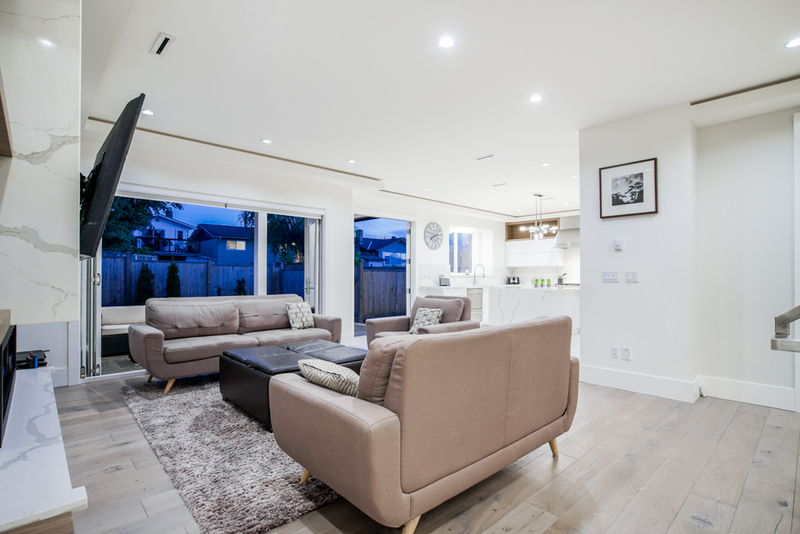 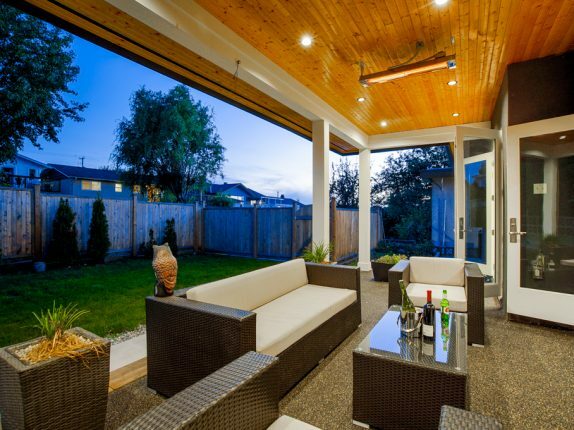 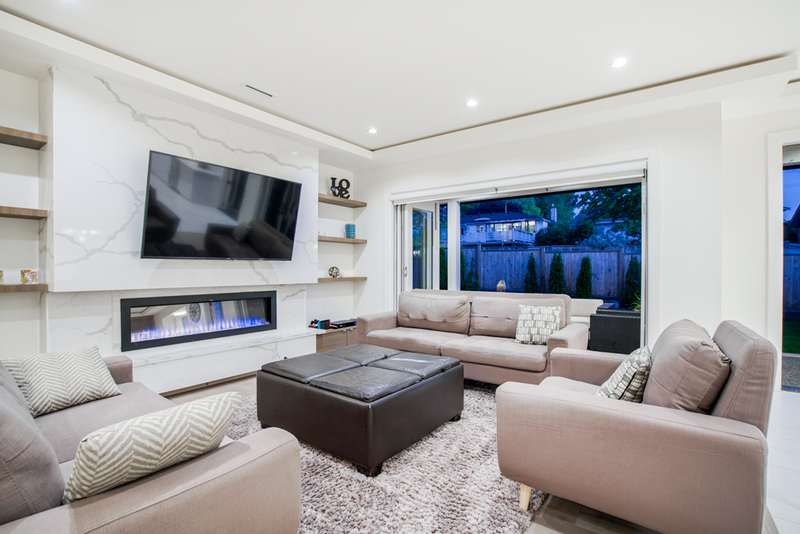 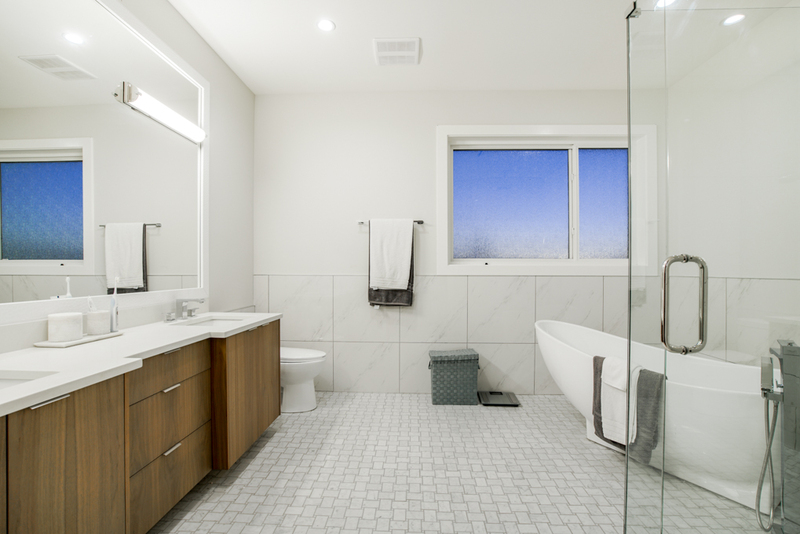 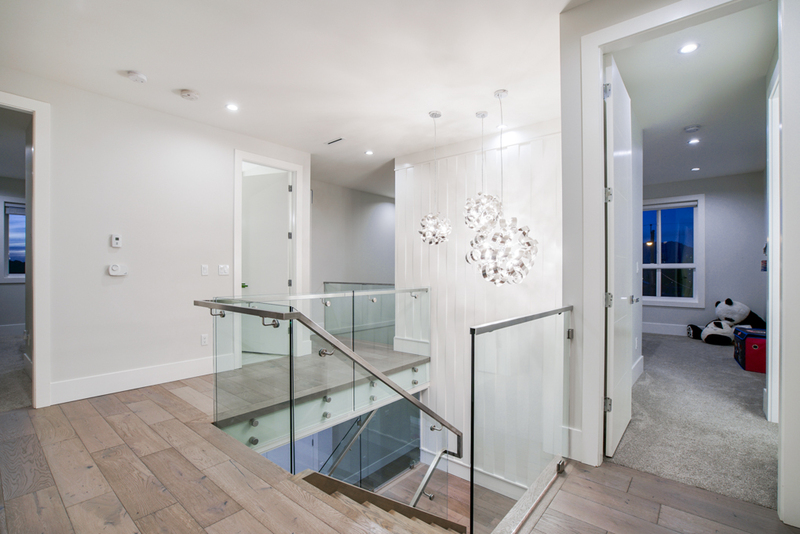 Beautiful Modern Home built by Hara Homes! 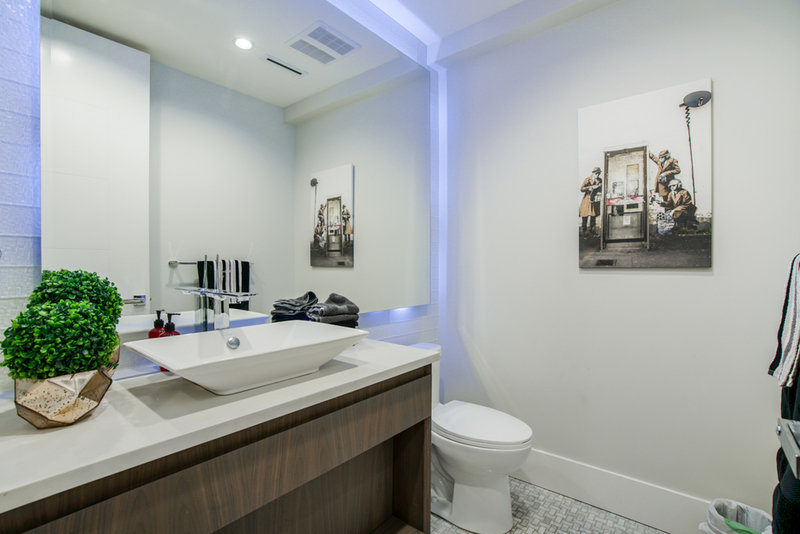 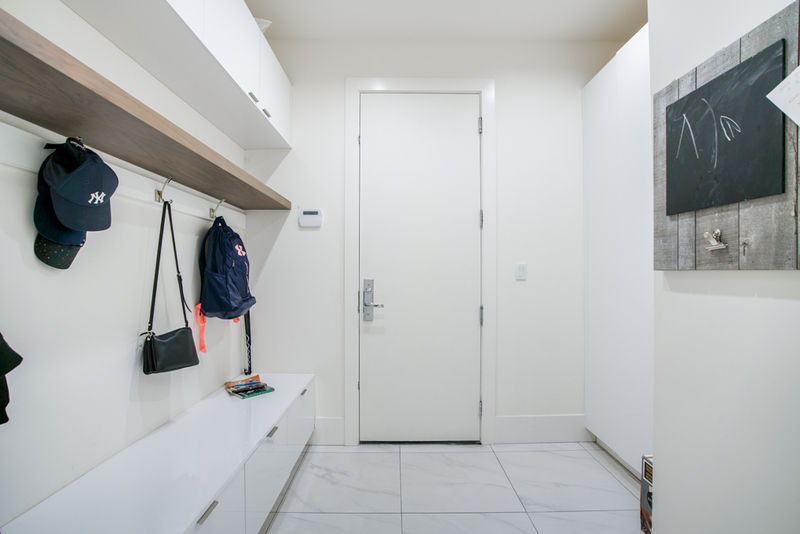 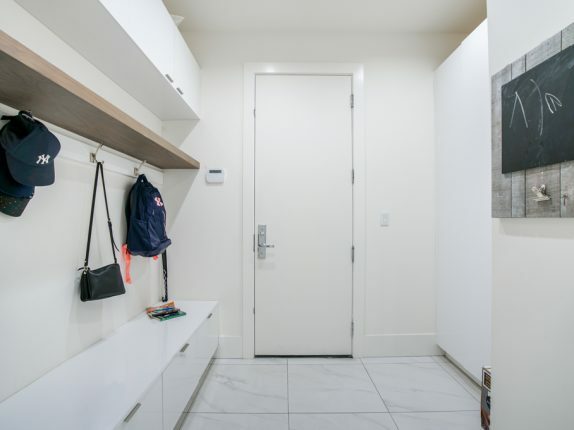 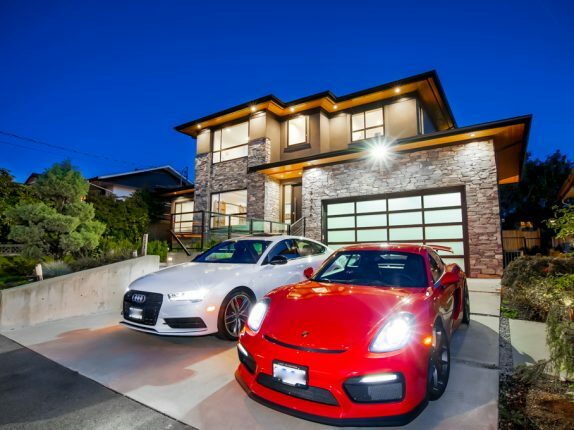 Central location steps to BCIT, easy access to Hwy #1, 5 mins drive to Metrotown Centre & close to Vancouver. 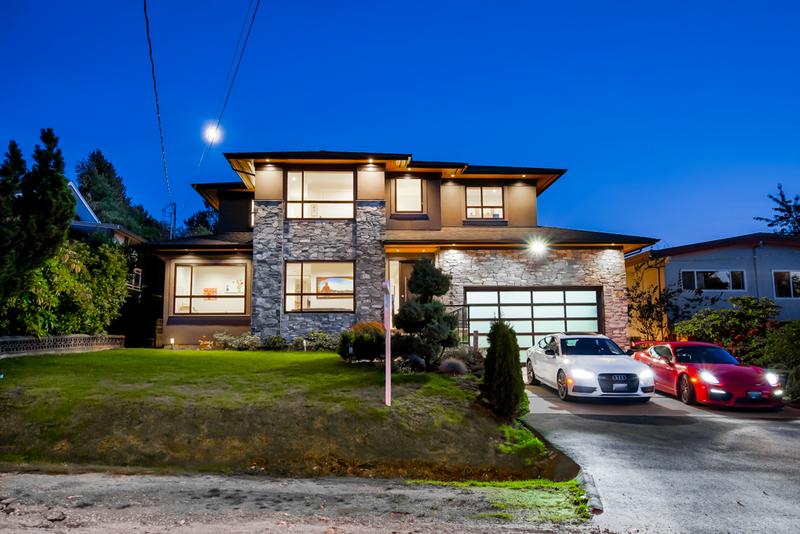 Total of 6 Bedrooms & 6 Bathrooms plus den over 3 levels. 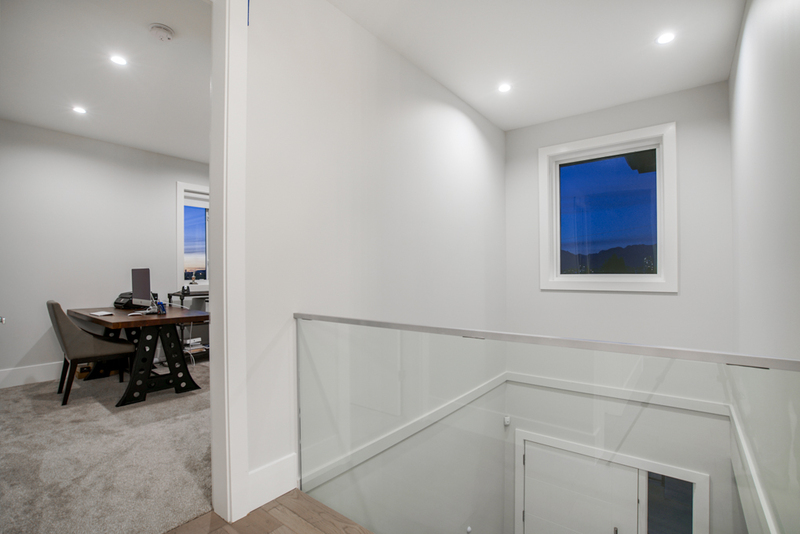 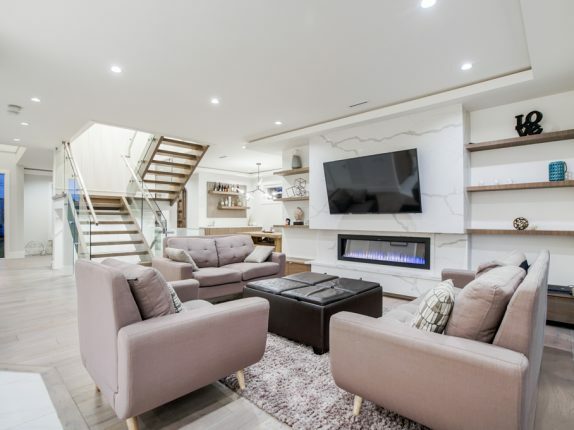 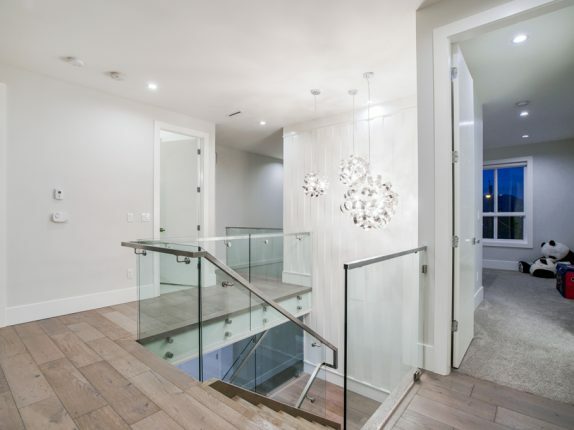 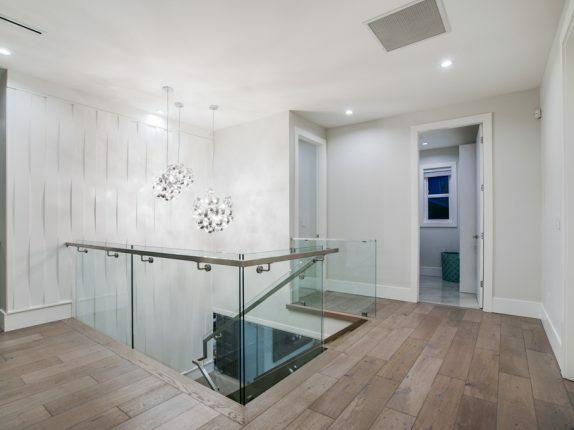 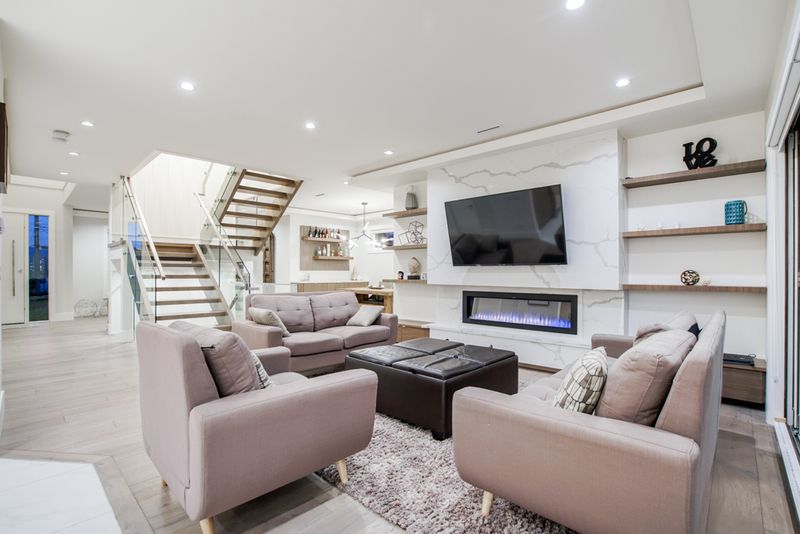 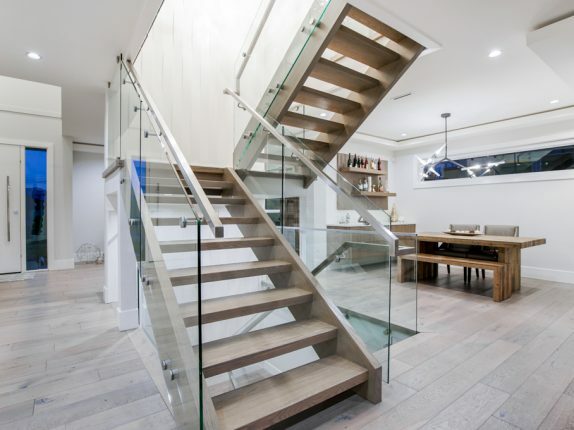 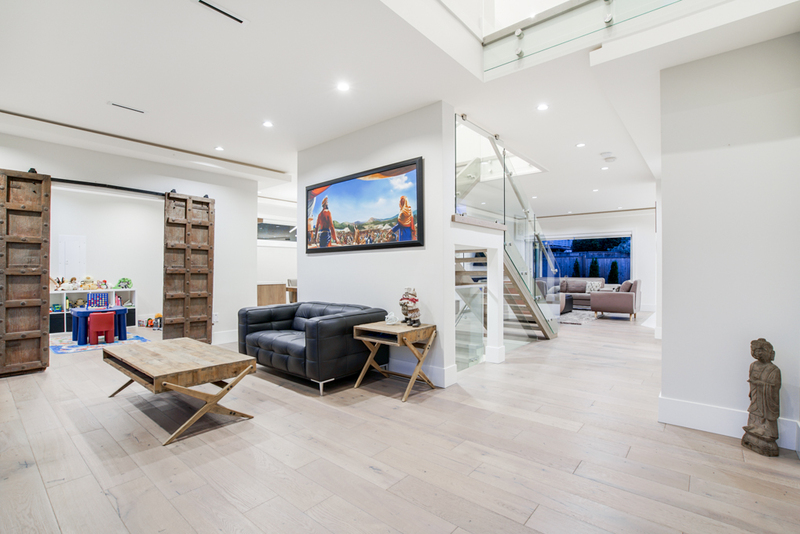 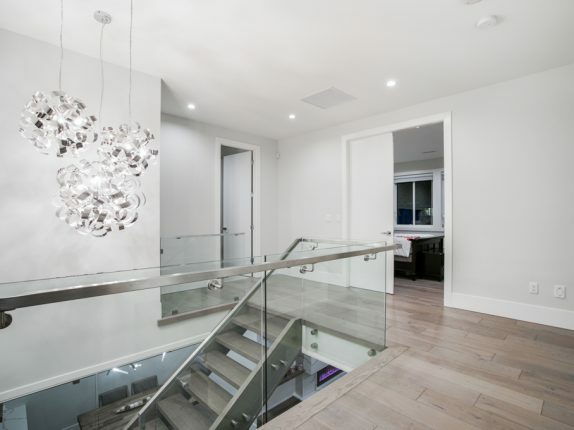 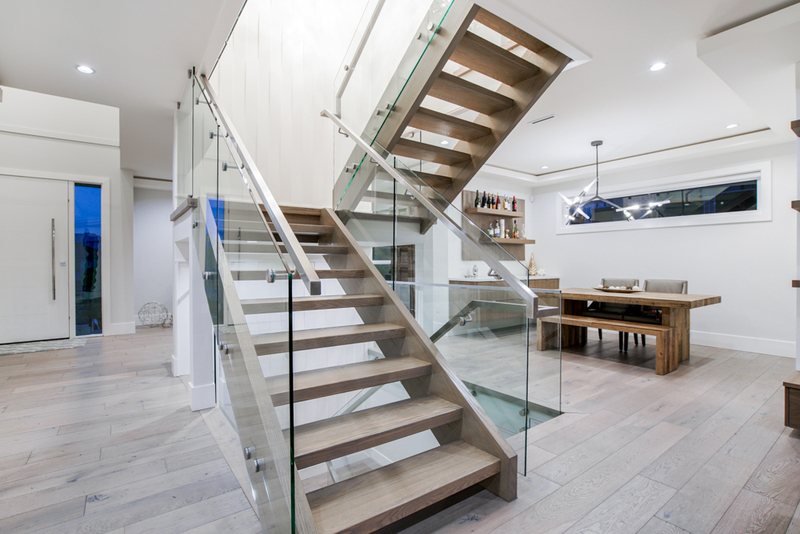 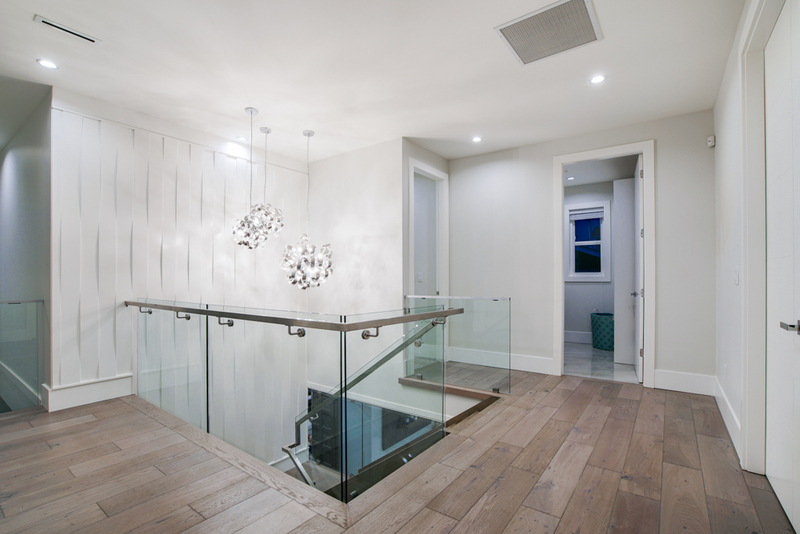 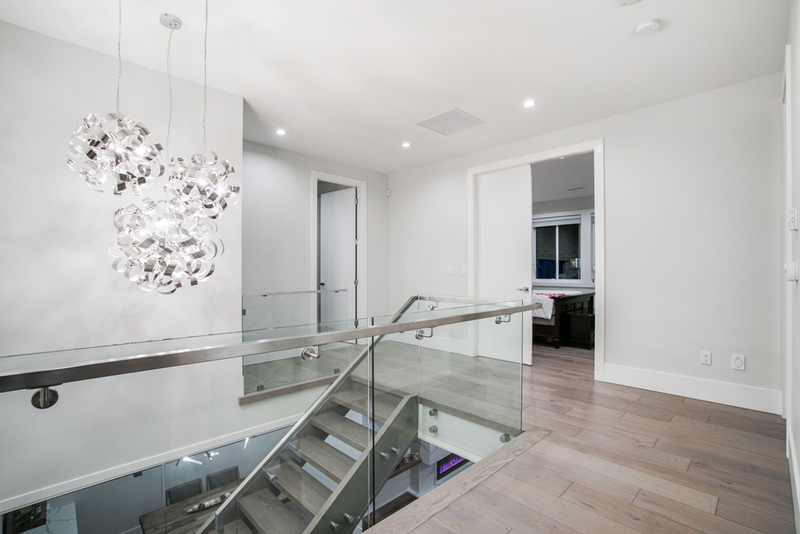 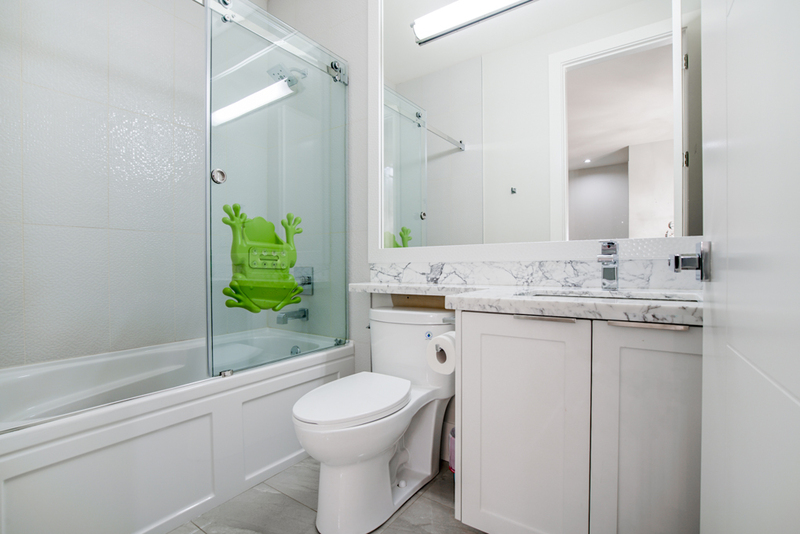 Very spacious open concept design, including free standing custom staircase with glass railing. 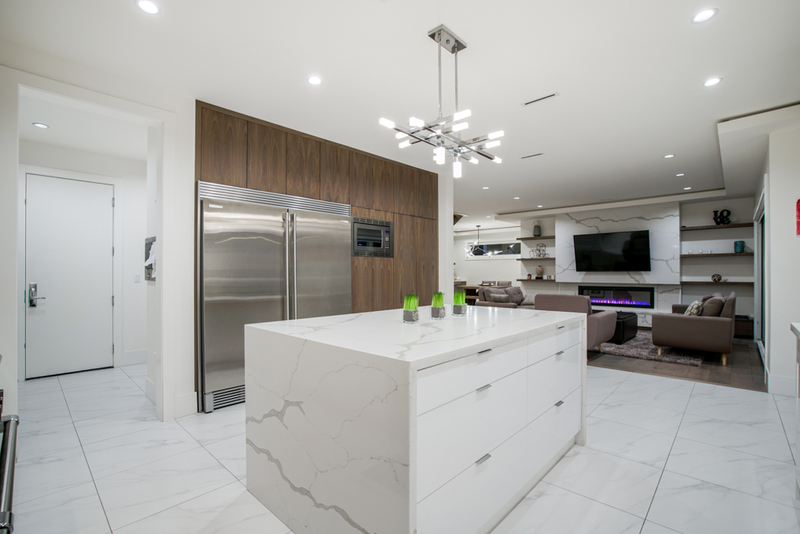 2 tone modern kitchen with walnut solid wood feature wall with built in oversized fridge. 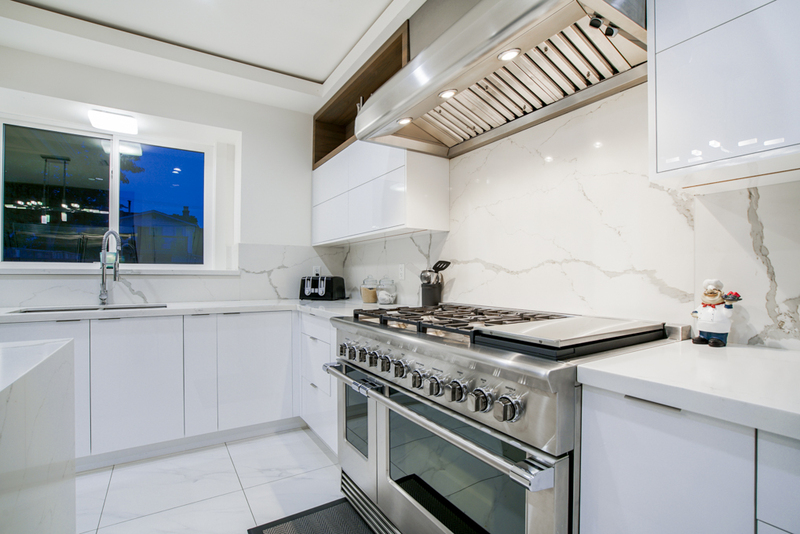 Commercial grade gas range with grill & powerful exhaust. 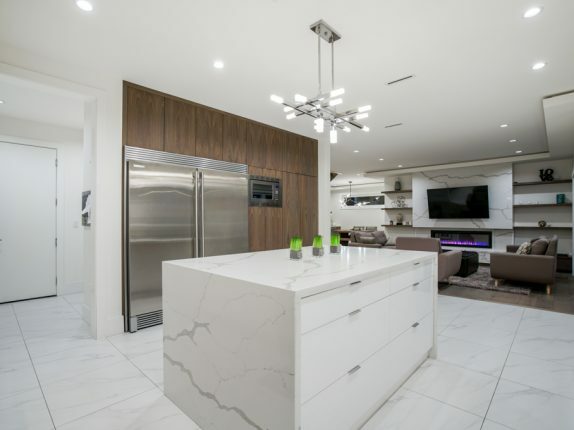 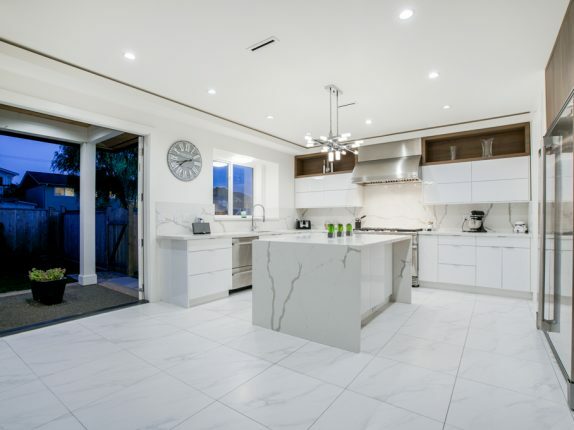 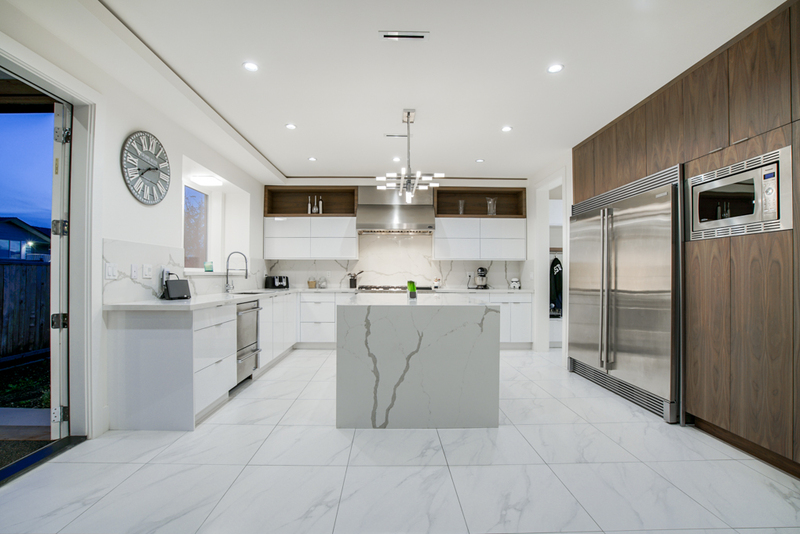 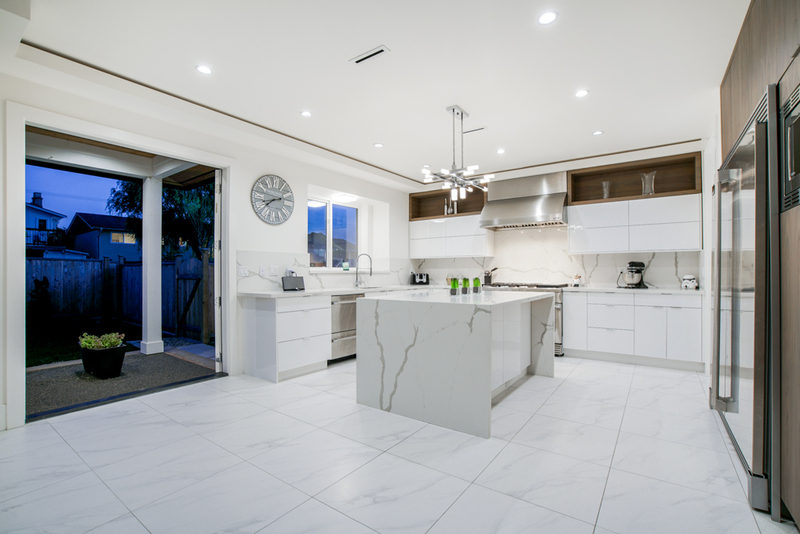 Electric controlled cabinets, huge waterfall Island for entertaining. 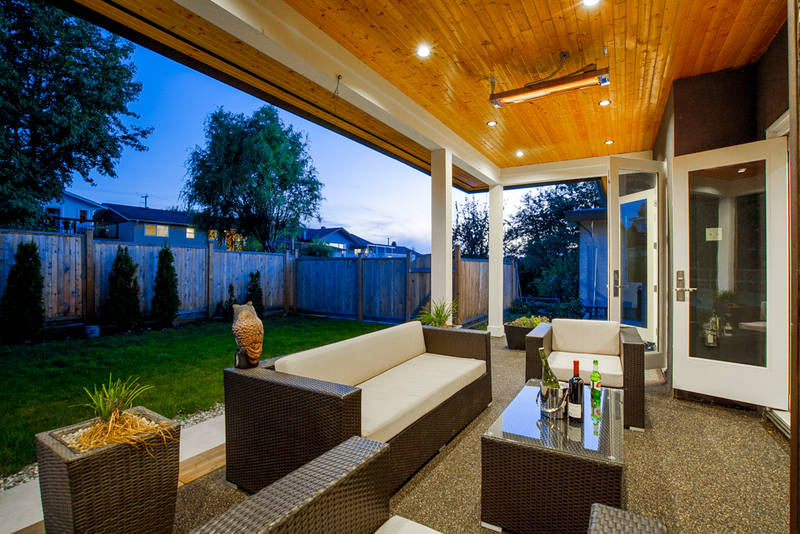 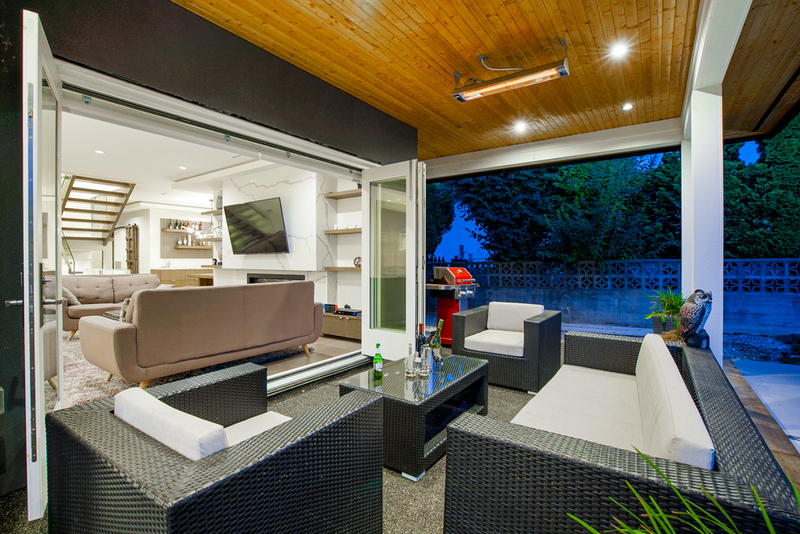 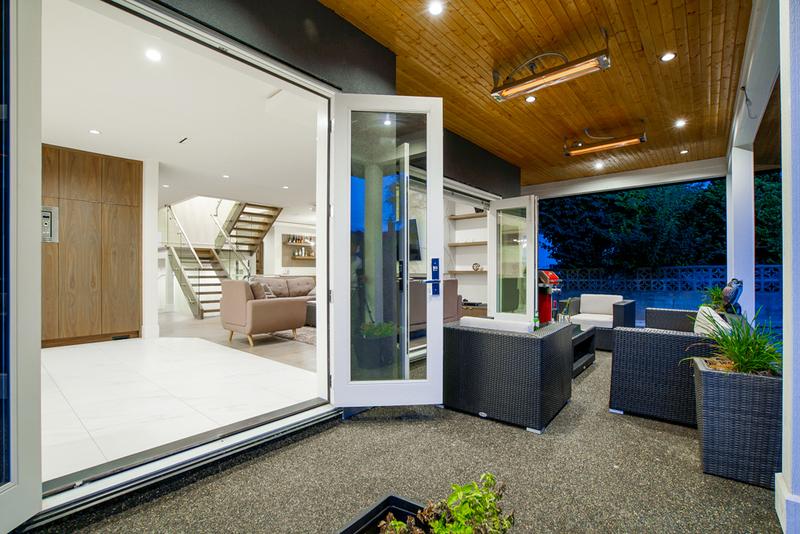 Eclipse door open to a covered deck with ceiling heaters for winter barbecuing. 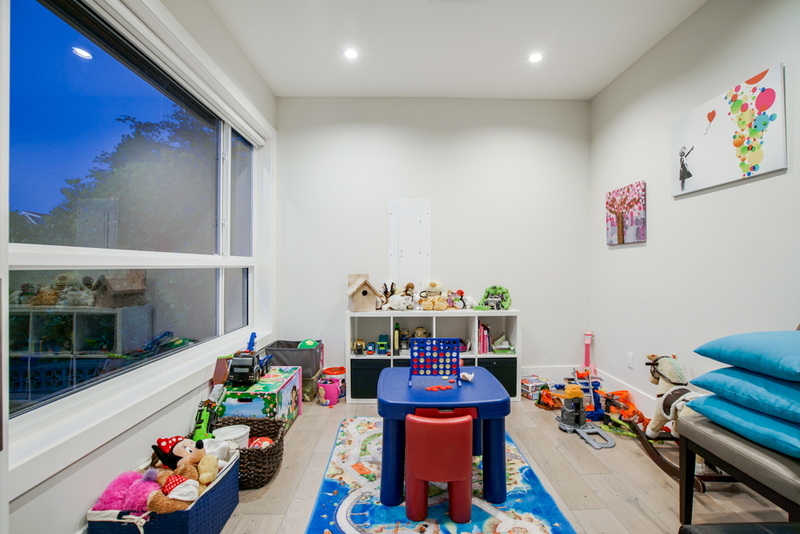 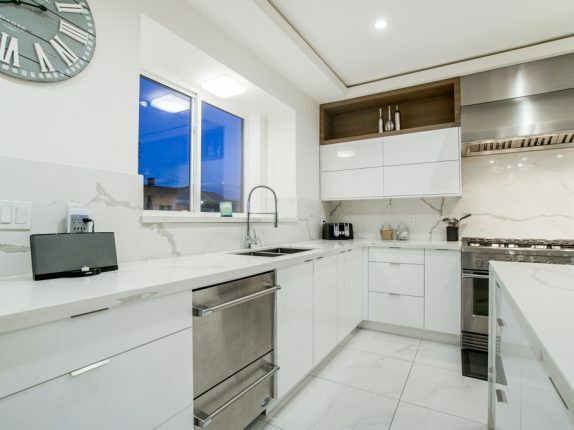 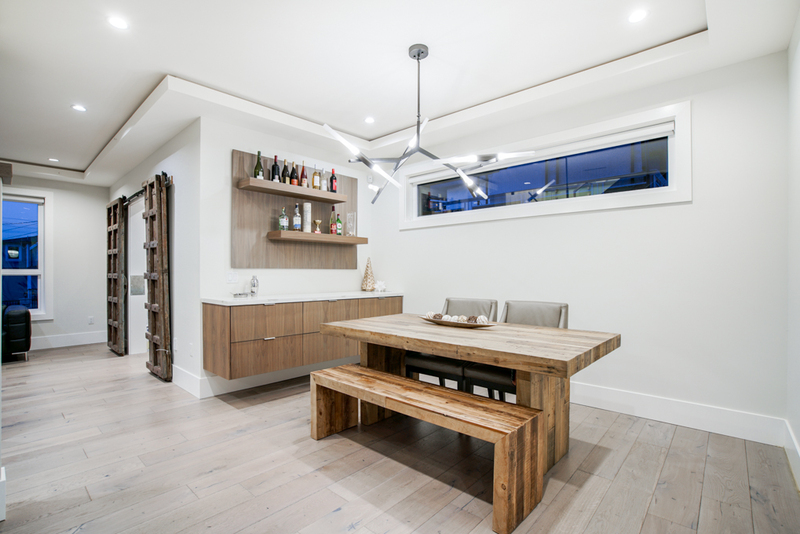 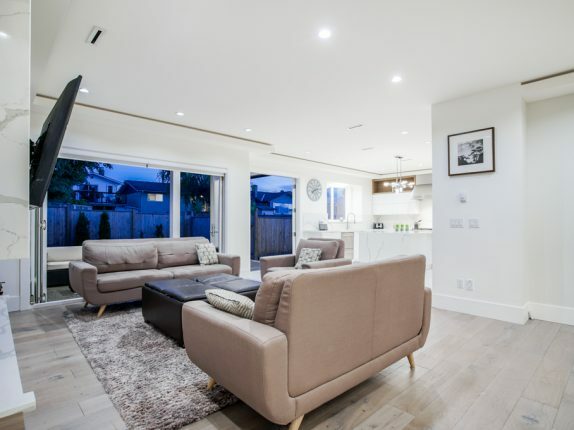 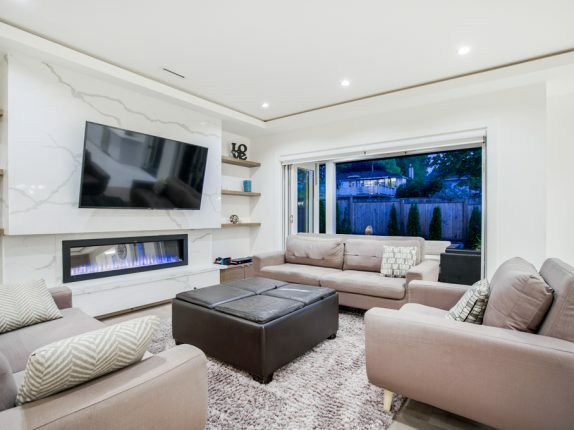 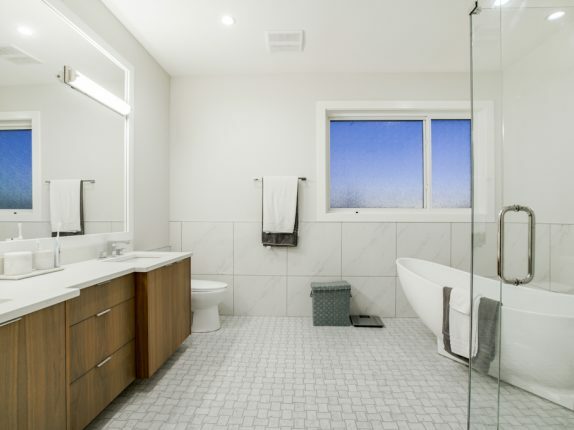 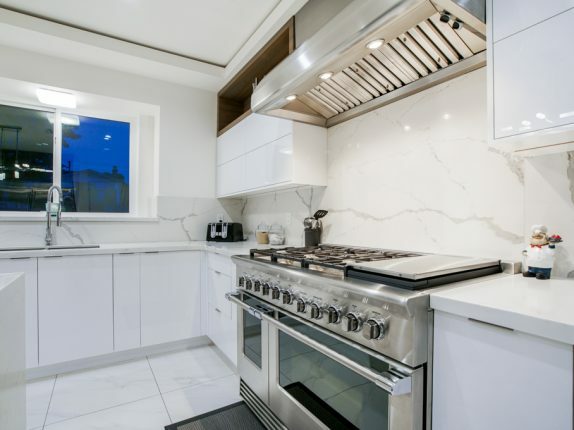 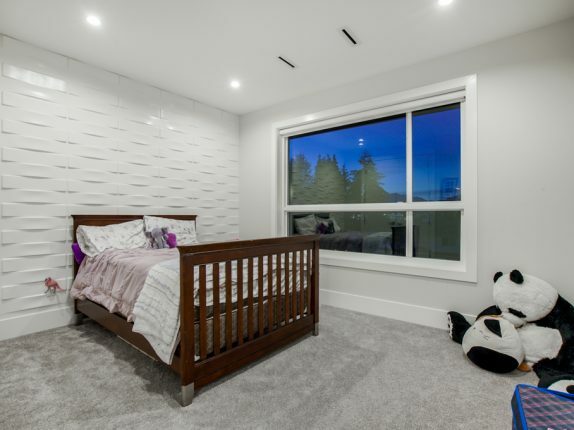 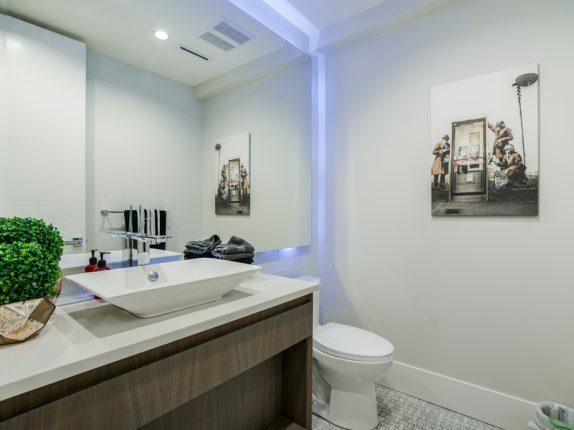 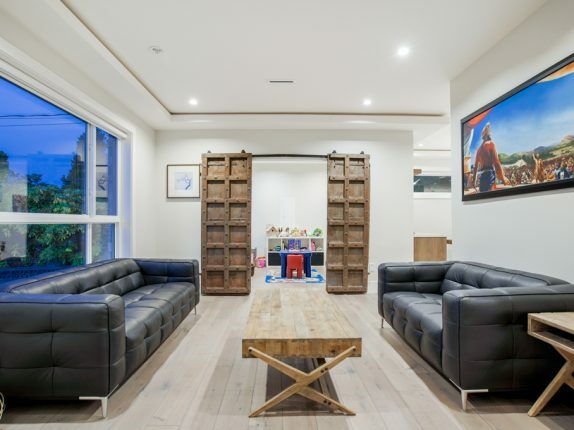 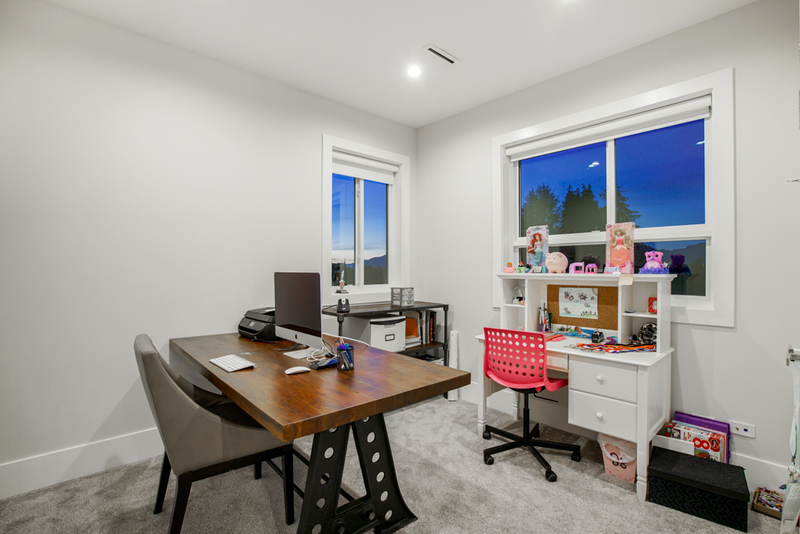 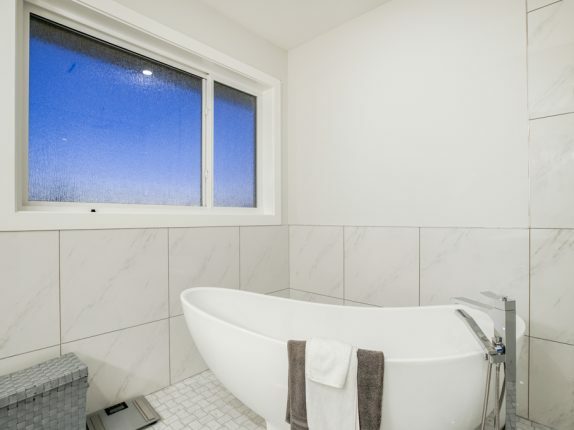 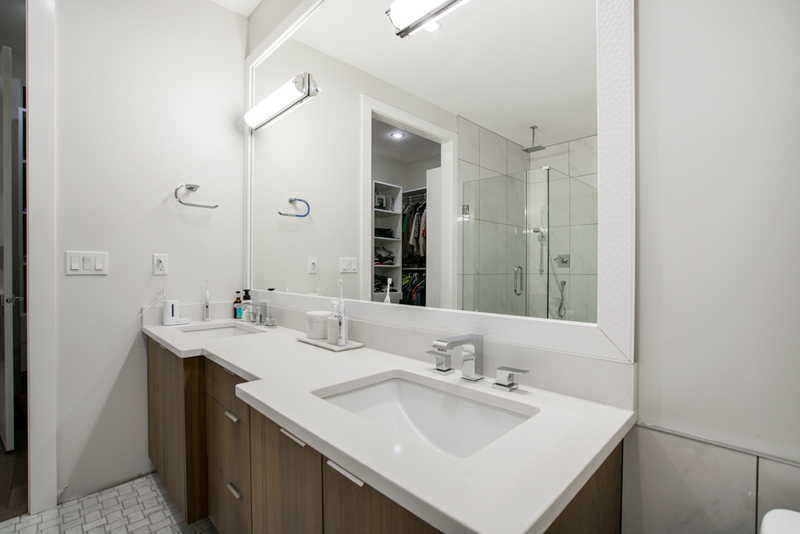 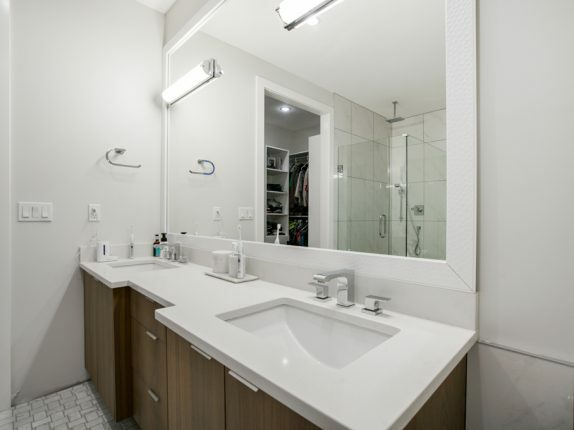 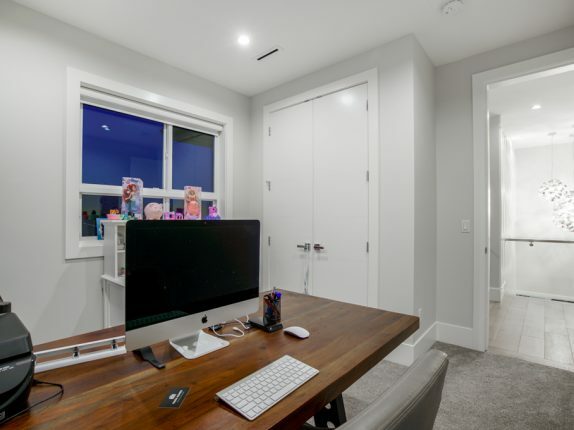 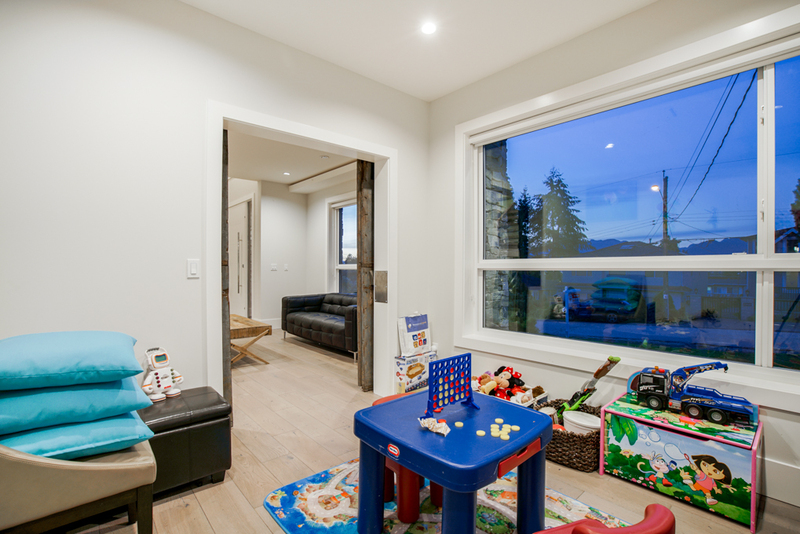 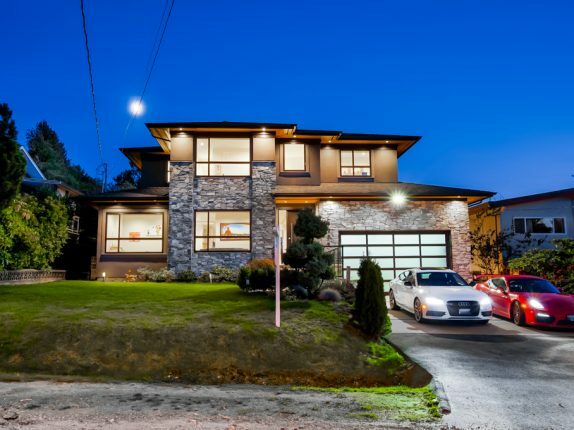 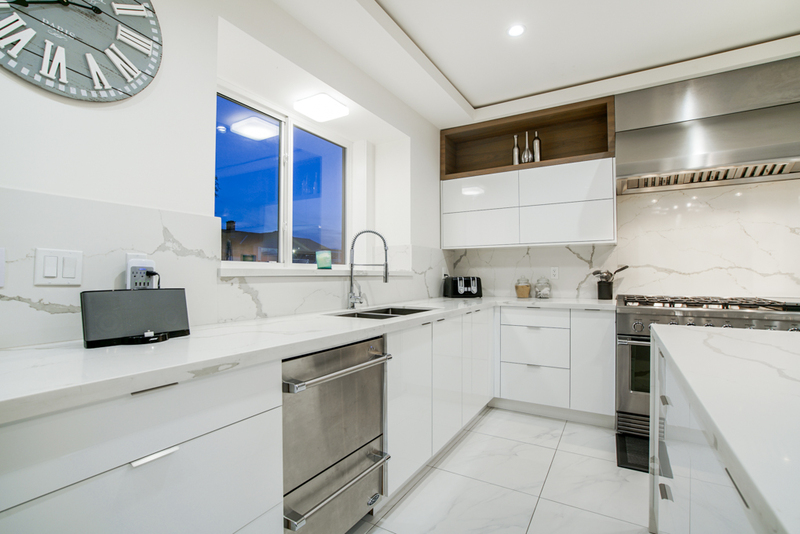 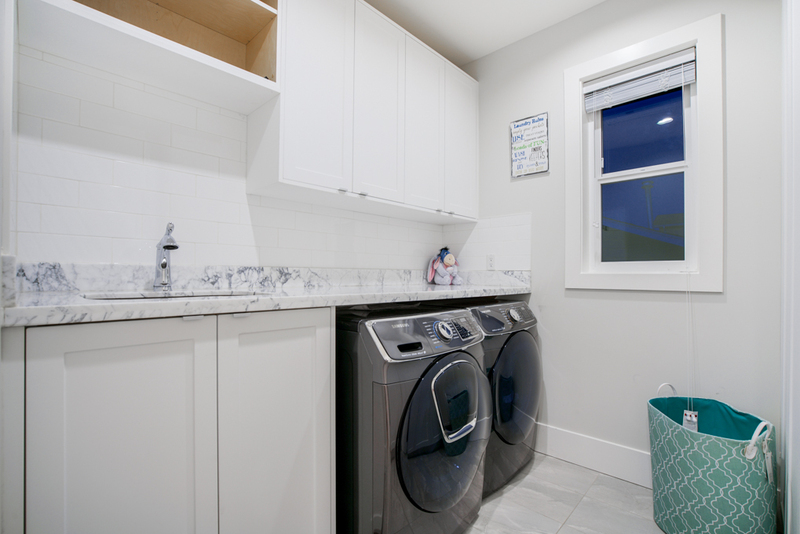 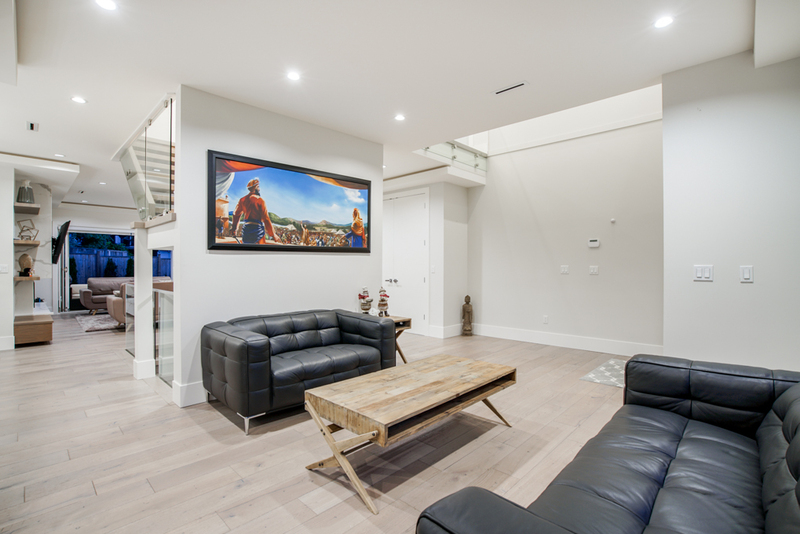 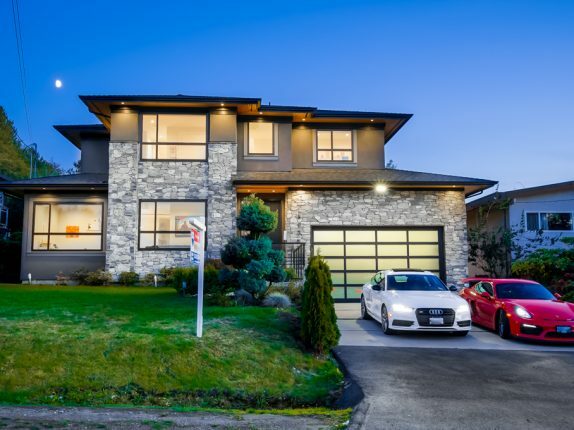 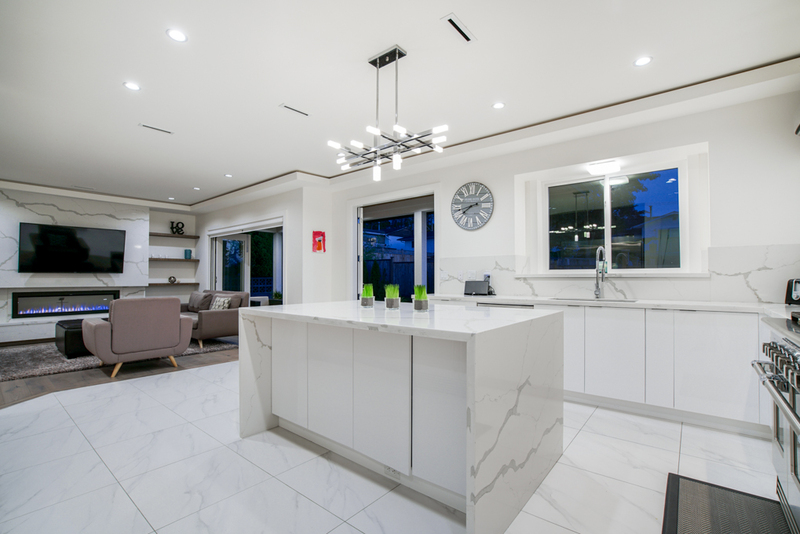 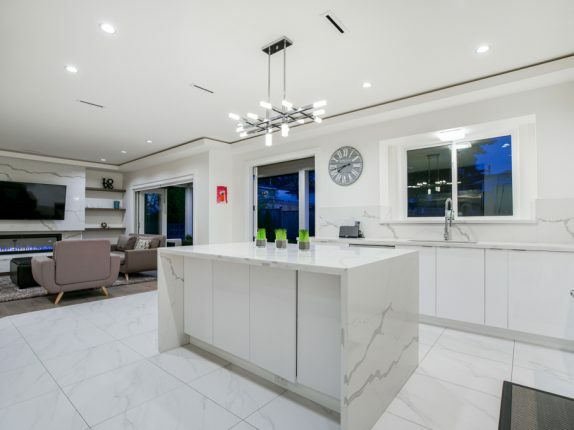 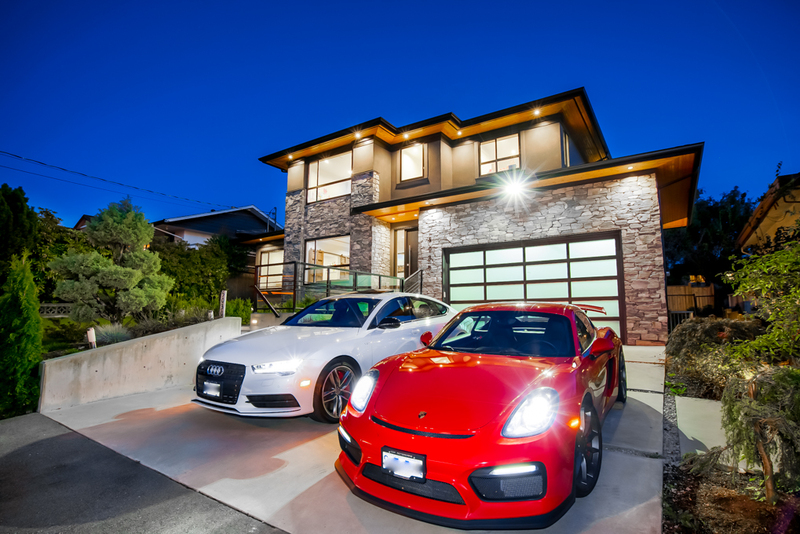 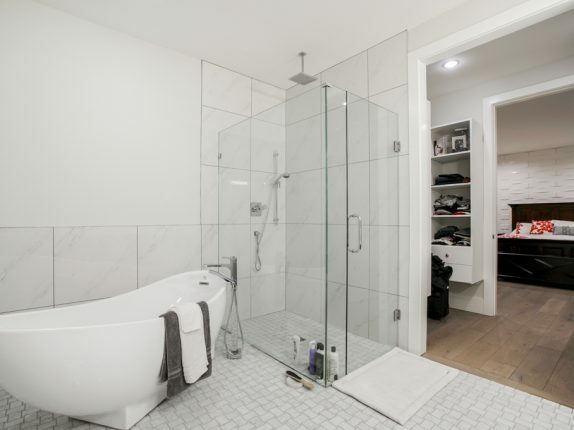 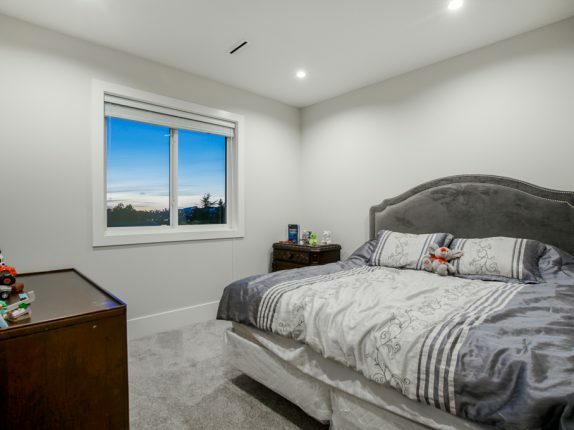 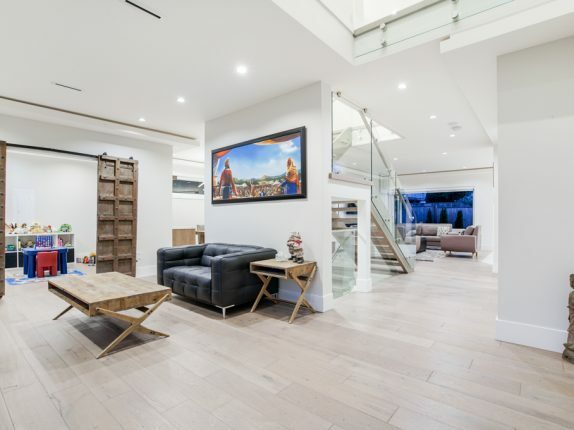 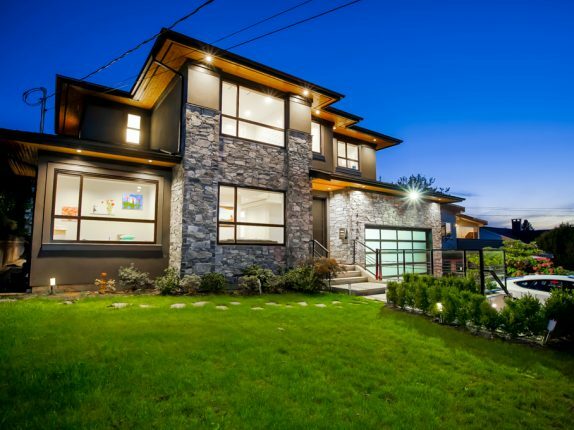 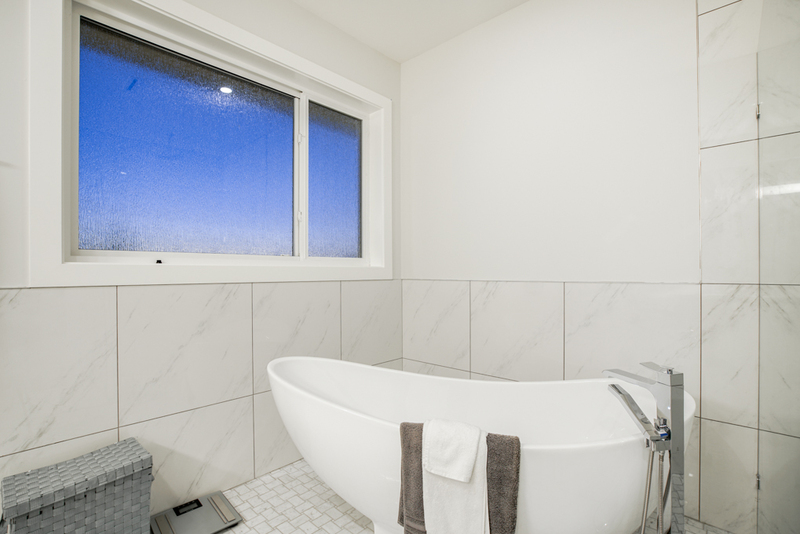 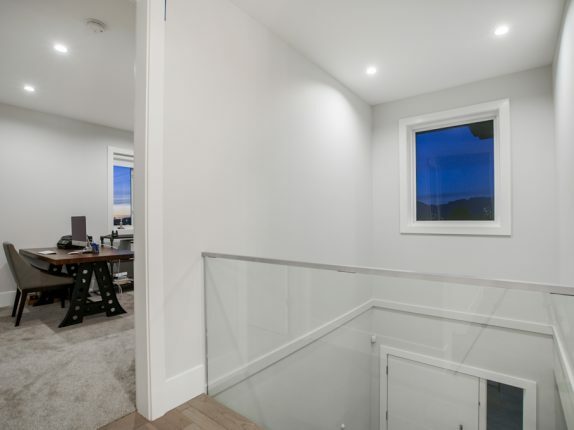 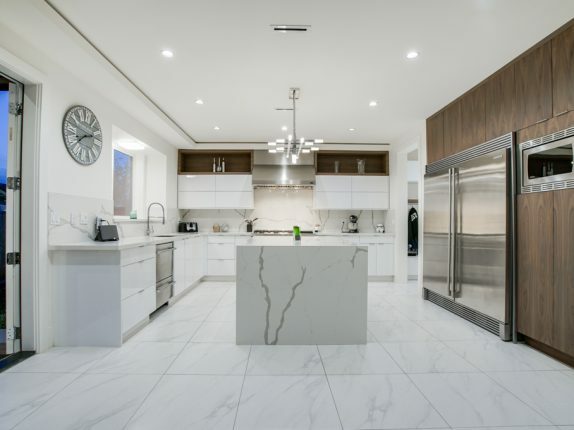 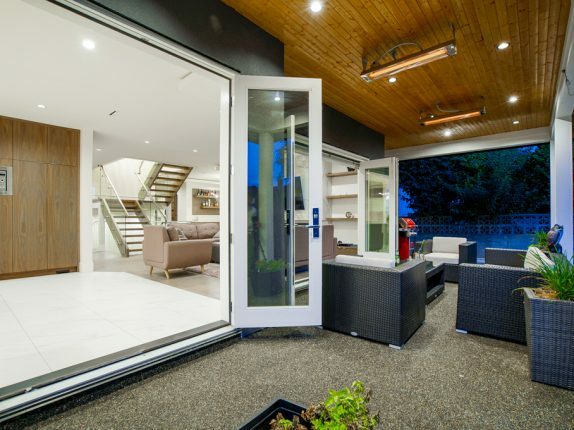 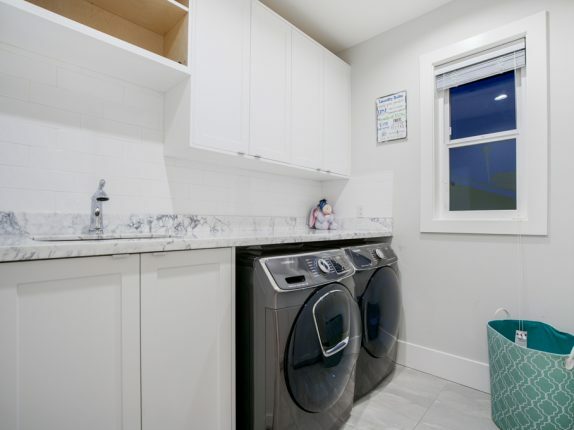 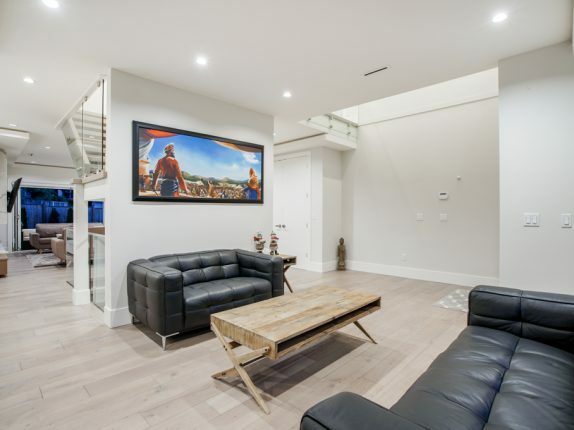 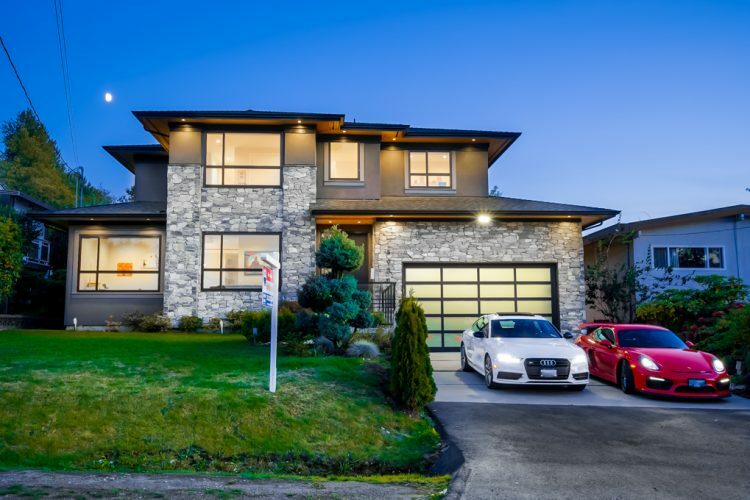 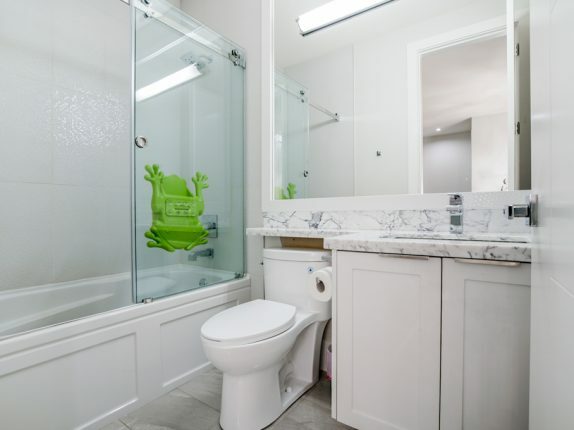 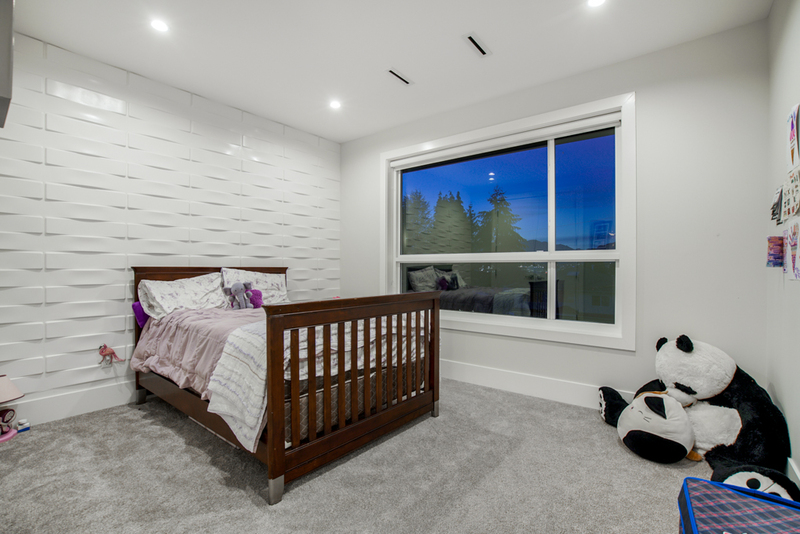 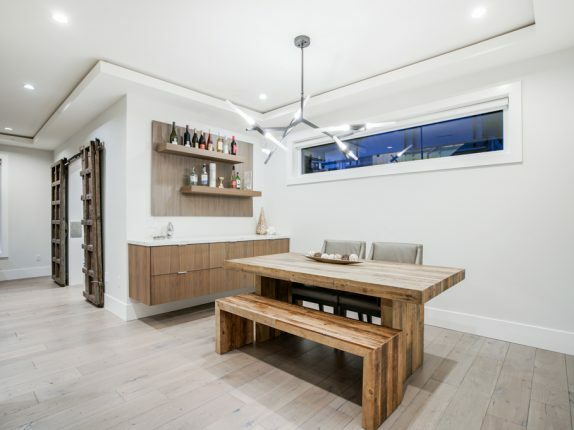 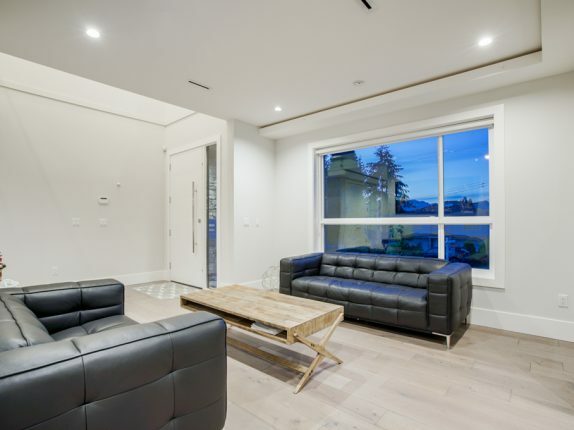 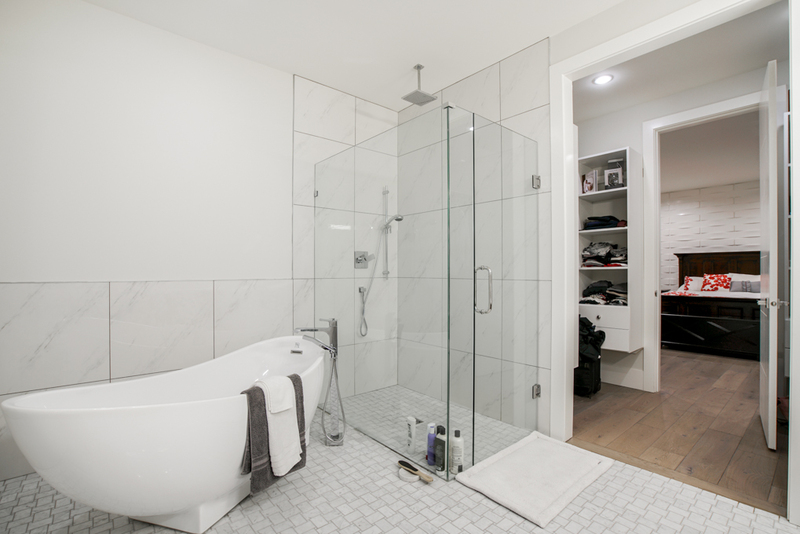 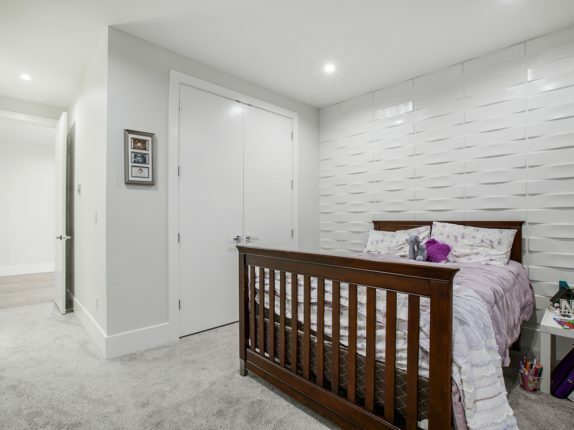 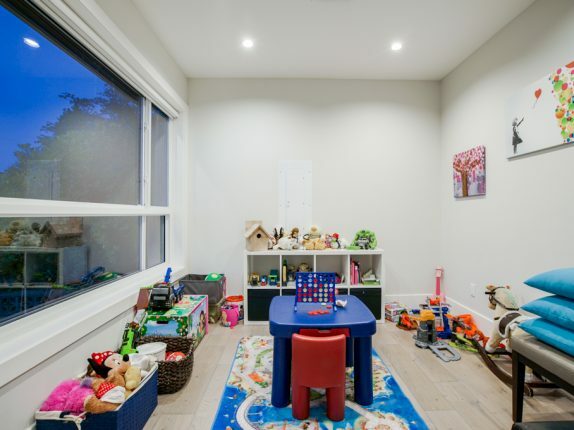 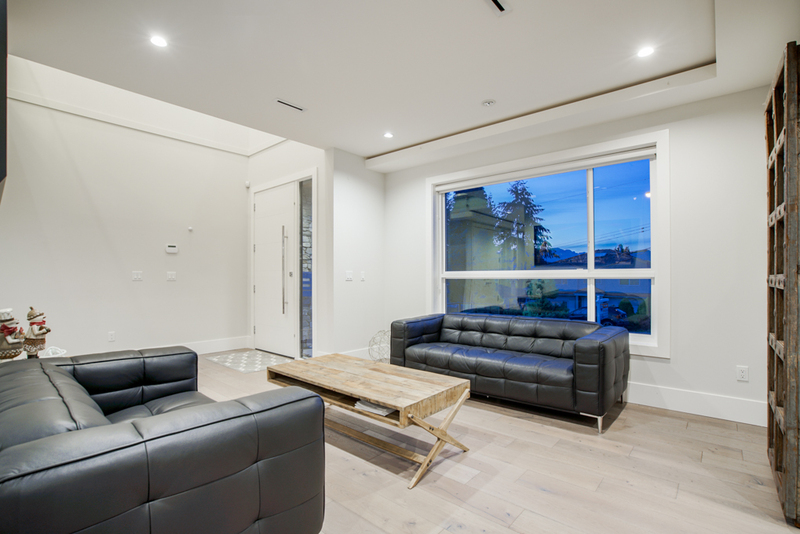 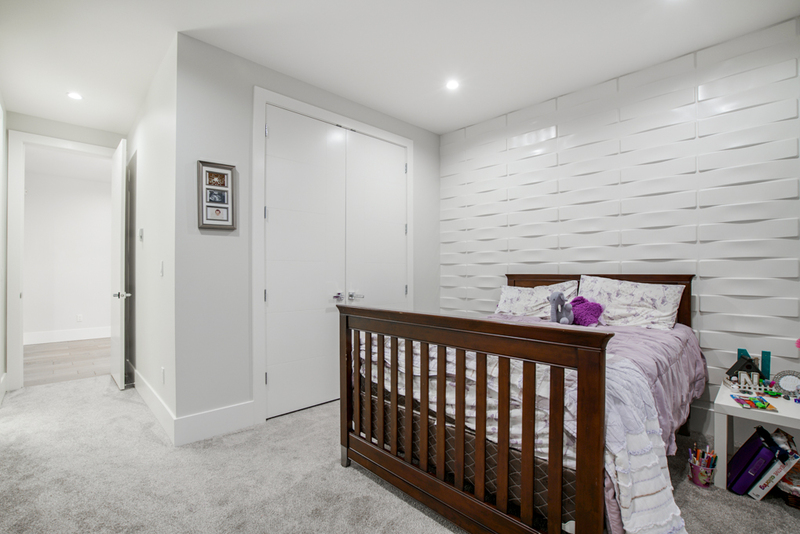 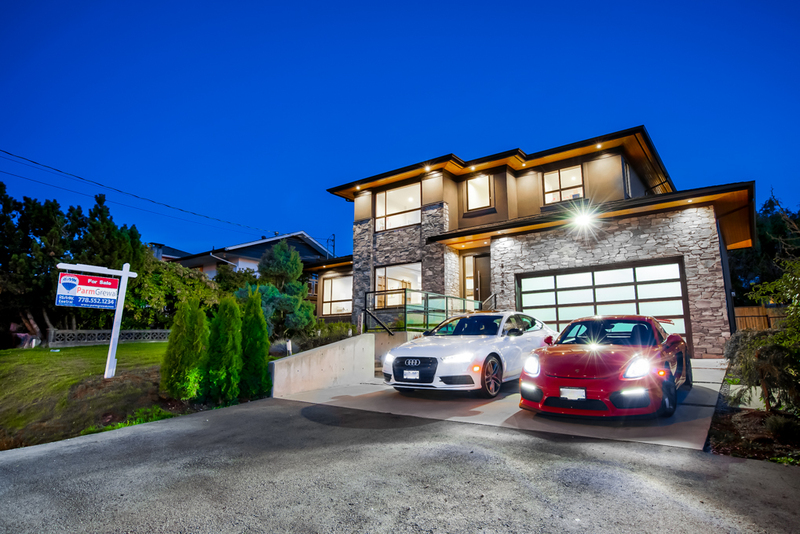 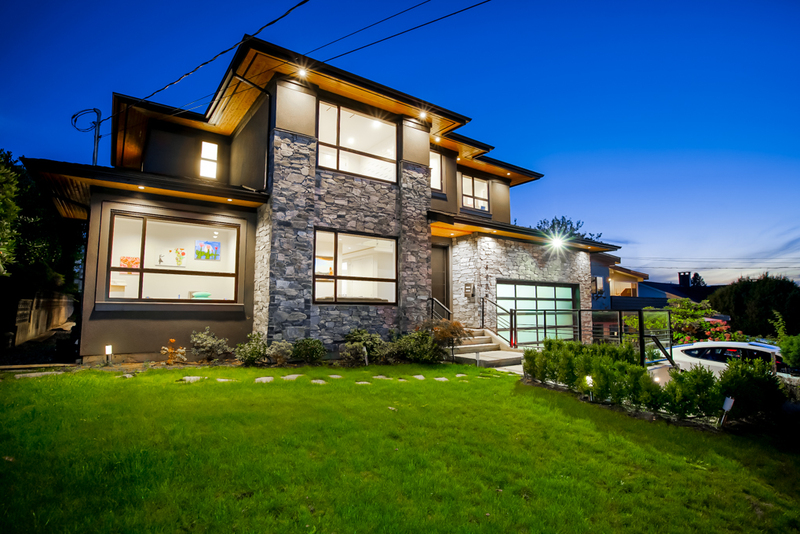 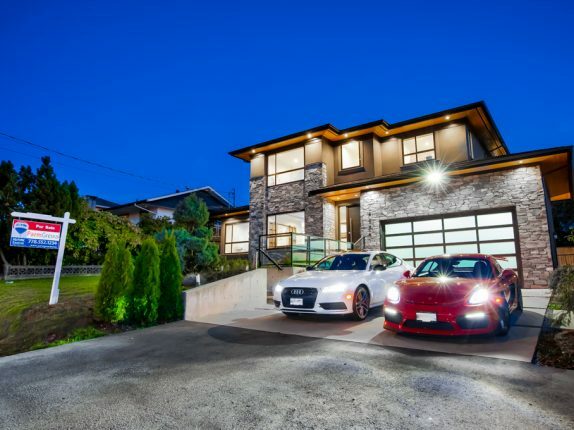 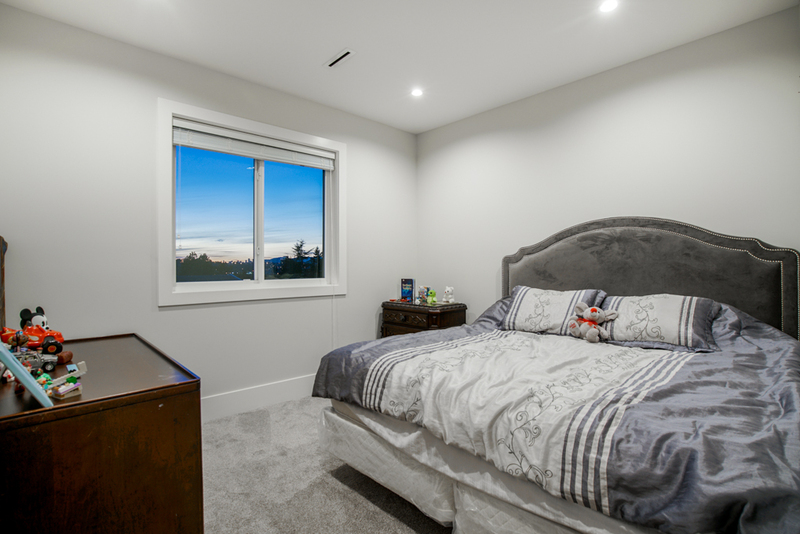 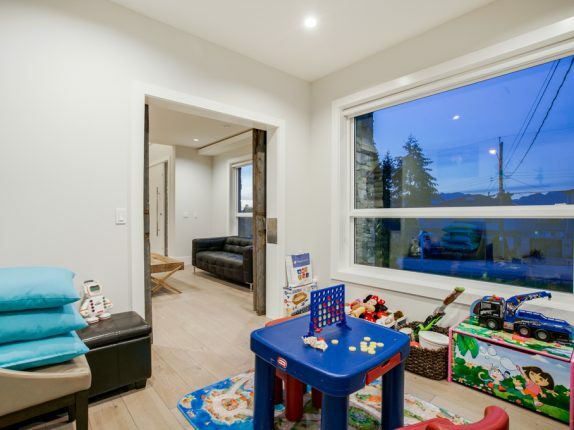 Engineered hardwood floors throughout the home, radiant heated floors, A/C, HRV, Security system, CCTV camera’s, glass garage door and lots more.. 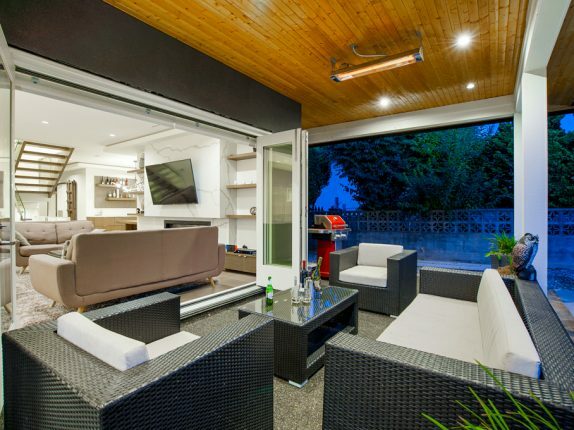 Private backyard, backlane, bus & parks near.